QUILLED CREATIONS-Beginner Quilling Kit. This kit will introduce you to an art form that involves the use of strips of paper that are rolled, shaped and glued together to create decorative designs. 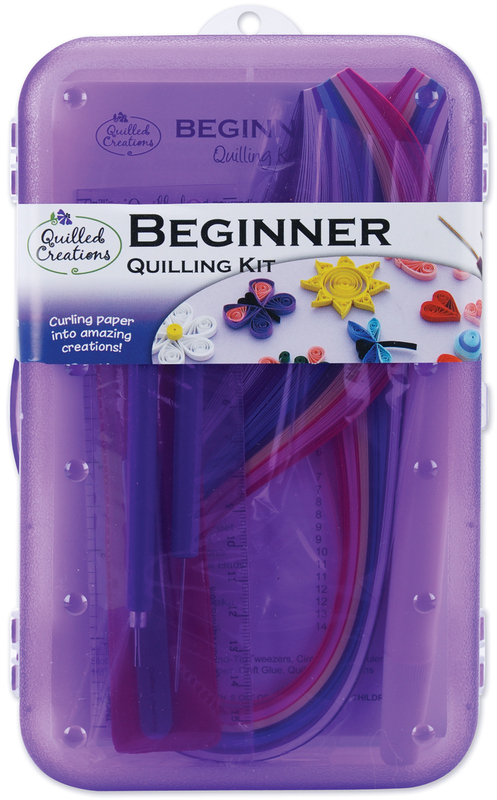 Kit features everything you need to try quilling for the first time with simple and creative designs for scrapbooks, gifts, cards and frames! Kit contains a slotted tool, needle tool, fine-tip tweezers, circle sizer ruler, 1/8in wide quilling paper, craft glue and quilling instructions. Imported.